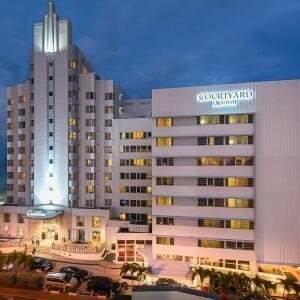 The Courtyard Hotel is an Oceanfront Hotel hotel located on the North Beach section of Miami Beach. This hotel began as the Cadillac hotel in the 1940’s and there is some debate over whether it’s an Art Deco Hotel or not. The lobby was recently remodeled and the decor definitely has an Art Deco style to it. The property has two towers the original Cadillac Tower and the new Ocean Tower, rooms in the Ocean tower are slightly more modern. What this hotel is lacking in location it makes up for in modern amenities. Our biggest complaint about this hotel is it has very little in the way of quirky South Beach charm, this hotel could just as easily be in downtown San Francisco if that isn’t something that bothers you give the hotel an extra 1/2 star rating. 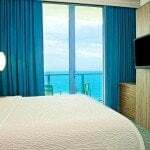 If your budget allows you to upgrade to an Ocean View room we highly recommend it, the views are spectacular and it definitely makes it feel more like Miami Beach. There is a full sized onsite pool, which makes most of the pools in the South Beach Hotels look tiny. 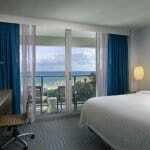 As with all hotel on North Beach, you have direct access to Miami Beach via the Miami Beach Boardwalk. This hotel is a lot more Family Friendly than anything downtown, but you won’t find hotel overrun with screaming children. This hotel is not pet friendly. 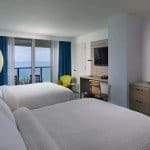 This hotel is best suited for someone who wants a pool or direct access to Miami Beach and doesn’t mind not being in the middle of the South Beach Party. Hotels similar to this include the Best Western, Lexington, and the Alexander Hotel. Valet Parking – This hotel offers Valet Parking for $39 per day. Guest Refrigerator – This hotel has a mini refrigerator in each room. Coffee Machine – This hotel has a coffee machine in each room. ATM Cash Machine – This hotel has an ATM on site. 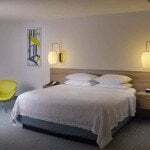 Beach Access – This hotel has direct access to Miami Beach. 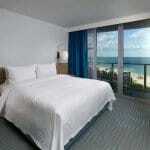 Oceanfront Hotel – This hotel is considered an Oceanfront Hotel. Family Friendly – This hotel is considered Family Friendly. Value Hotel – This is considered a Value Hotel. 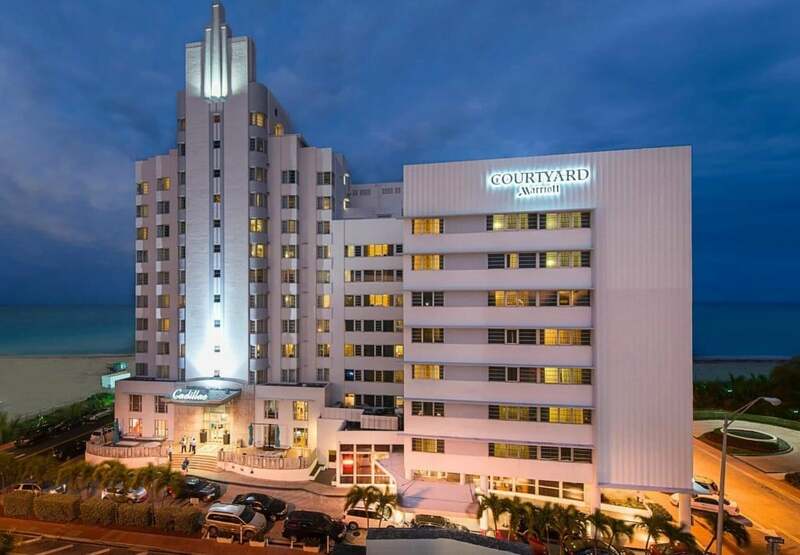 A taxi from Miami International Airport to the Courtyard Hotel should be $60. A taxi from Courtyard Hotel to Central South Beach should be $25.